Hello everyone! We guess you have already heard of Behance, however, let us shortly review this internet-platform. As a leading social network for designers, photographers and other creatives it is a fabulous website to display their works and a good opportunity to exchange experience, get positive feedbacks and comment on each other's works. It is also one of the largest online communities and an exceptional source of design inspiration nowadays. For instance, compared with Dribbble, it enables creatives to describe their projects in a more detailed way. Project description may contain a workflow, screenshots or narratives in order to explain project's lifestyle from the very beginning to the latest stages or just to share fresh and creative ideas with everyone interested in modern design. Are you still stuck to your to-do list in a paper notebook and cross out completed items with a pen? We have a way better solution for keeping track of everything you have to manage, either working or personal issues. All you need is our To Do Manager – it's the best to-do list application and a great time management tool that provides you with 24/7 access to anything you may need when planning your life. We are pleased to present you a great service that contains the information about public transportation routes in the largest cities of Ukraine, Serbia, Croatia, Russia and Moldova. All the data is constantly updated so this app always offers you the most efficient route to any place in a city. 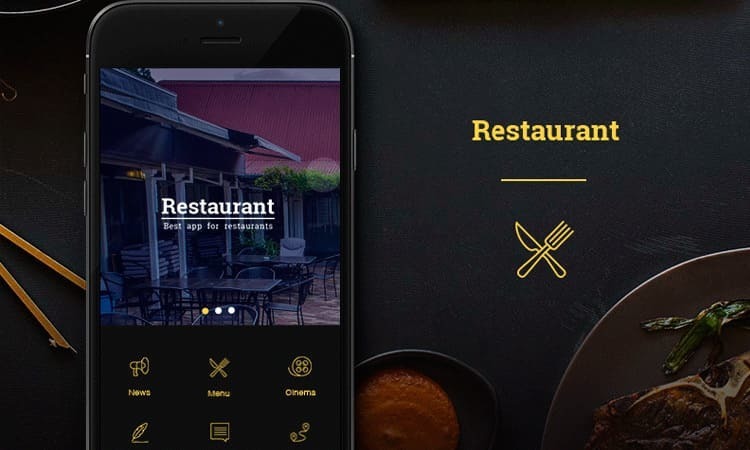 This mobile app template is designed for a restaurant or a cafe. It is compatible with iPhone (iPhone 5 and succeeding versions) and the most common Android based devices. The PSD file is perfectly structured for further processing and tailoring for specific needs of your restaurant. It is an integrated mobile solution for promoting designers' works and profiles in the Dribbble system. This mobile app is a real chance for promoting your profile and leading it to the top position, at that, you will always be up-to-date on the latest Dribbble trends. Meet the newest awesome brain teaser – That Name Game! It is a free game designed for iOS exclusively (both iPhones and iPads) which gives you a chance to check your knowledge of geography and world celebrities. Simply choose a category, invite a friend and start the game. There is only one rule to follow – the last letter is the first or the first one is the last. So simple, but so addictive – try it now! These are not all but just a few of our design stories and if you are interested in learning more, we are always glad to tell you more about each project. We would really appreciate your comments right here or on Behance website.